Although it is extremely important that sports kids stay focused on the game but with so many distractions around it is just natural for a child’s mind to wander off. And it is a matter of great concern for parents and coaches who are deeply concerned about the child’s performance. 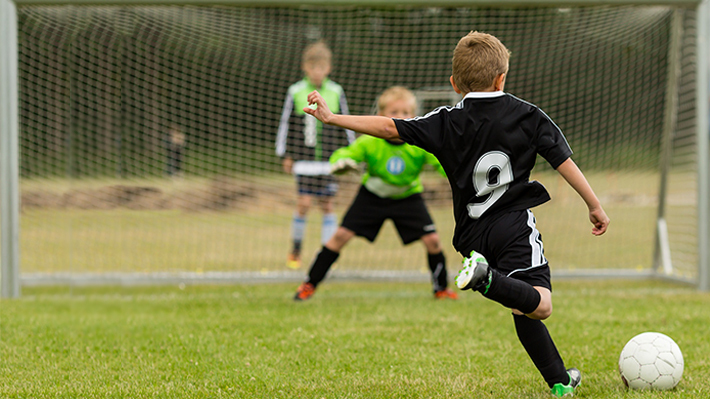 Here are a few tips to help your kid stay focused on the game irrespective of the distractions. Friends: One of the main causes of distraction for sports kids is their friends. 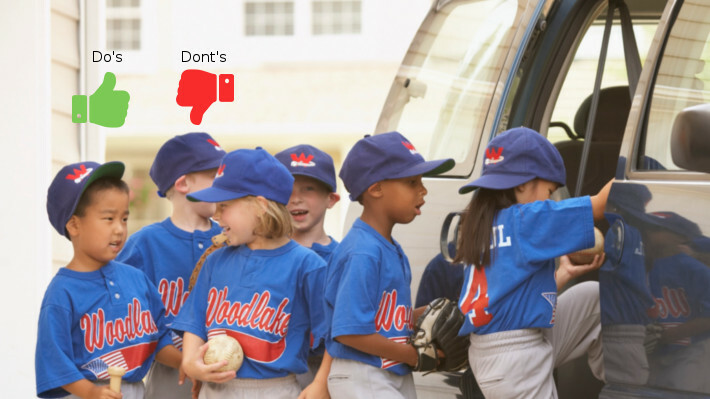 If your child’s friends are not into professional sports and are spending time otherwise going out together and having fun while your child has to attend practice sessions, chances are that at some point the child might loose it for the game. In such a situation you must intelligently allocate time for game and play. Kids need time to themselves and with their friends to rejuvenate. Make a timetable and allocate breathing time for the child. This will help the child perform better in the game also. Internet: Internet has become a vital part of the child’s growing up be it in studies or entertainment, although, Internet can be very addictive. Many children across the globe are suffering for ill effects of Internet addiction. You need to counsel your child for smart and safe use of the Internet. Make them responsible for how they use the Internet. Casually discuss Dos and Don’ts but do not put strict restrictions as this can have a boomerang effect or make your child rebel the rule. Studies: Yes, however wrong it might sound to you but studies can be a distraction for the child’s game. Exams, projects, extra studies, homework, pressure to do better in academics; all this can be a distraction in pro sports. But studies are important too. Again, a well-planned timetable that allocates reasonable time to studies and provides for cushion of projects etc. can be of great help here. Peer pressure: Many a times your child’s friends or classmates would try and distract her and the reason can be as silly as jealousy. Sports kids are popular and the popularity brings in as many friends as rivals. This is a part of growing up for the child and it’s not just a sports lesson but also a life lesson you might want to teach your kid: how to keep priorities right in life and how to not-compromise them. Performance pressure: Just because a child plays good we set our expectations high. And because we keep our expectations high, the child gets nervous and cannot perform. This brings down the confidence and makes the child despise the game in extreme cases. There’s a thin line between motivating your child and putting performance pressure. We need to understand, differentiate and stay on the right side. Game focus is not just the child’s onus. It’s as much on us too. Hope these points help. Tell us in the comments below if there’s something we missed out. Does your child play very well during training and practice matches, but tends to choke in the game? Do you feel that the child is over-anxious or nervous on the day of the game? If yes, your child is suffering from performance anxiety. 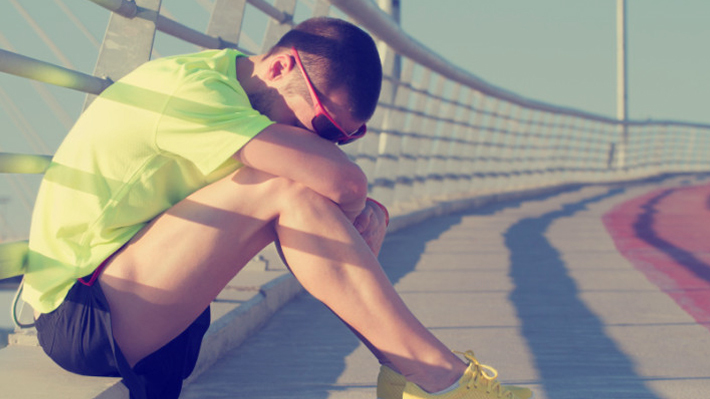 Performance anxiety is described as decline in athletic performance because of stress. Both of these are external reasons but the stress occurs due to the way the individual player perceives the situation. When you talk to a player facing performance anxiety, the way the player talks about her anxiety will clearly explain what she is going through and what exactly is causing the stress. Understand the child is in stress: Coaches and parents need to read through the child’s mind. 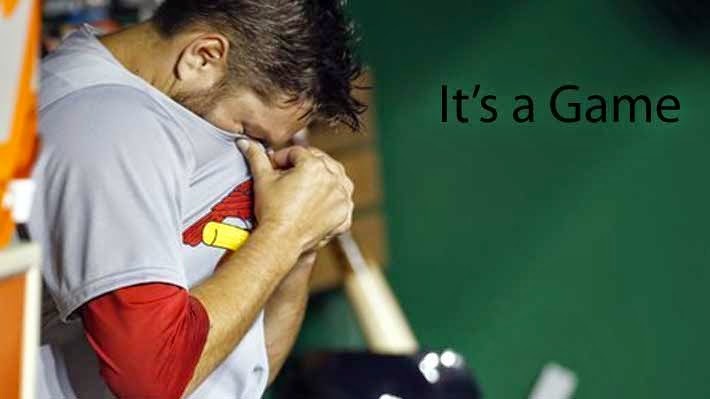 It is normal to have some stress or anxiety before the game. That is our mind’s mechanism to prepare for the game. But if the child is exceptionally quiet or behaving abnormal, talk to her. There might be signs of performance anxiety. Give the team time to settle in: Bring in the players well ahead of time. Let them get a feel of the place and settle in. Get a worm-up done and then conduct some light fun team games to cheer up the kids. You might also ask the team to do some slow breathing exercises that will calm the mind. Focus on the game, not on the result: A lot of players make a mental image of winning, holding the trophy, celebrating etc. This then creates a sort of silent pressure on the mind. Tell the kids to close their eyes and visualize the game, a sort of mental strategy of how they are going to play. This will change the whole attitude and bring back focus on the game. Force a smile: Ask the team to smile even if they do not feel like it. Tell them to do it repeatedly till the kids break out into laughter. Remember a little stress is necessary for good performance but it can soon snowball into a problem if not tackled in time. Bullying is a disease that practically affects children in all aspects of their life and sports is no exception. In fact, in youth sports bullying can be all the more brutal because a child's self-confidence can actually get major set back due to taboo around sports in schools. Another hard fact is that in most of the cases kids end up being silent victims of bullying without even reporting it. 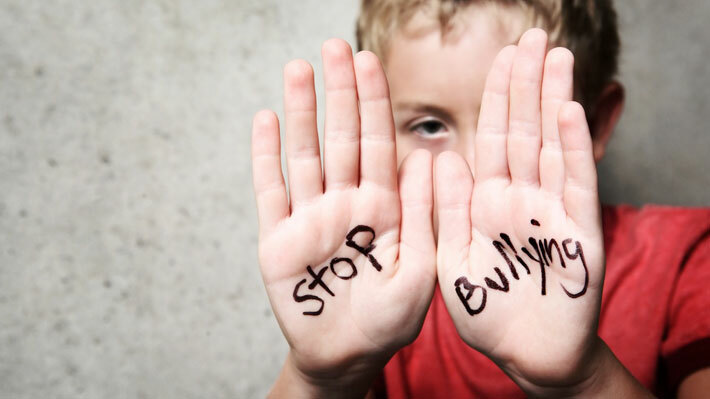 The only way to curb bullying is to educate children about the ill effects of bullying. Coaches and parents can take up the task with their respective teams. This will not only secure a healthy environment for children to live in but will also bring out better sports personality in each one of them. While the task of educating children can be pretty elaborate, here are a few practical tips that will help children stand-up against bullying. Do not participate in bullying: This will be the first thing that children need to know. Bullying can be verbal, physical and emotional. Mocking someone, defaming someone, spreading rumors, hitting, snatching personal belongings or troubling in any way is bullying and children need to be told to refrain from it. However, these incidences might not be bullying if there is one time incidental occurrence. It may just be a part of normal child behavior in a group, but if the incidence becomes a repeated exercise or bothers the child involved, it is bullying. Ask the bully to stop: When bullied or even on witnessing bullying, the first thing you must do is tell the bully to stop. In most cases the bully goes on doing it because no one tells them not to, every one is scared and that is the motivation that keeps the bully going on. Also, it is important to tell an adult about the bullying, preferably the coach if it's in the team. Ask the bystanders to stop: Usually in bullying there are one or two kids leading the bullying and then there are bystanders, people who are encouraging, laughing or even just watching the bullying. Tell the bystanders that they are making the problem worse by being around and encouraging the act. When children around start looking down upon an act of bullying, it will be a major discouragement for the bully. Befriend the victim: If you see a child getting bullied, reach out to the child and try and include her in your friends' group. This could help the victim feel better and also discourage the bully as bullies usually target the weak and lonely. Voice your concern: Do not be afraid to voice your concern even if you are the only one doing it. More kids will definitely join in if they see that you are right and you have the courage to stand for it. Is weight coming in the way of your child's sports career? Here's a list of things you can do to ensure your child's overweight is managed in a natural, healthy way without affecting adversely on the strength and inner health of the kid. • While in almost every weight loss regime, the enrollee is asked to cut down on calories; sports people shouldn't be doing it. Technically, athletes require a diet richer in calories than non-athletes, around 2000 calories per day. Meet a nutritionist to understand the exact calorie, carbohydrate, vitamins and minerals intake required by the body to keep fit and healthy. The nutritionist will also help understand the type of food, number of meals and timings or time intervals of meals, etc. • Make your child exercise, run, swim or cycle, but do not allow the child to take up any form unhealthy weight loss program. Most children take up gym or eat less to control weight but these programs cannot be implemented for children till they reach adulthood and their body growth is not hampered. • Weight loss should be a slow process. A sudden weight loss often backfires and the body gains more weight than the original position. Ideal case would be rough estimate of 1.5% of total body weight. Participation in sports for children is no more an option. With ancillary benefits such as college admission and a whole expanse career options that sports now offer, parents are increasingly taking up pro sports for their children. The concern most parents face is how to choose the perfect sports program for your child. Here is a list of check points that can help you narrow down to a particular sports program. Child Safety: A good youth sports management program needs to ensure your child's physical and sexual security as a strict practice. Here are a few things you can check to ensure your child's youth sports program is "child safe". • There is a code of conduct for everyone working with and in the team including coaches and players. Activities like bullying, teasing, hazing by players or staff or yelling by coach etc. are discouraged. Emphasis on learning and not winning: We would all agree that apart from the sport, we as parents enroll our children for sports for the ancillary benefits like sportsman spirit, team play, stamina, discipline, dedication and more. 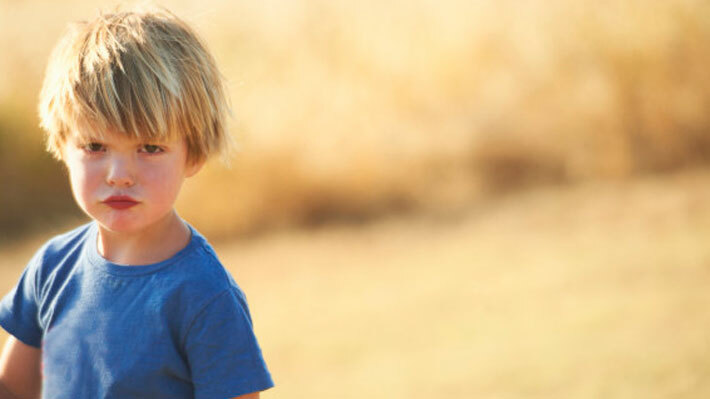 These collateral benefits help shape the child's overall personality. A good youth sports program would lay emphasis on these benefits more than winning the game. The child is put into undue pressure if the emphasis is on winning and might start having an inferiority complex if he is not able to perform. Heterogeneous teams: The youth sports program should encourage teams with a heterogeneous mix of players with different ages, mixed abilities and skill-sets. This helps the child get good exposure and also provides a whole lot of life-skills learning for kids. Solicits feedback and suggestions: Parent involvement in youth sports team is equal to the child's involvement, if not more. 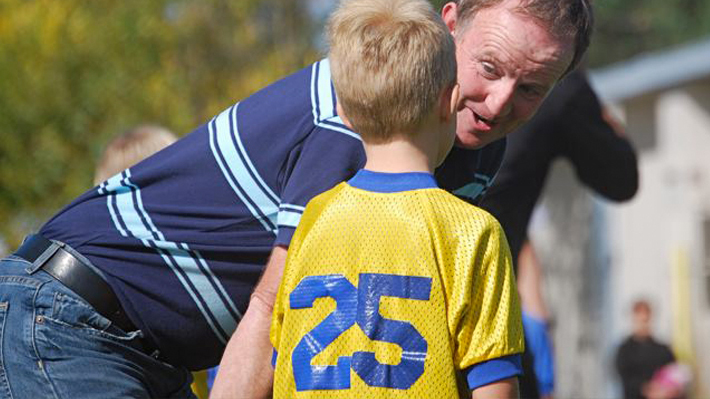 Your youth sports program should accommodate parents' suggestion and feedback. This way not only will the program benefit, parents can also trust the program more. Another concern is financial commitment. Sports involvement comes at an expense. There is expensive gear, equipment sports articles that needs to be purchased. On top of that taking coaching, going to practice sessions and games, all of this also requires a lot of money. And by simple math, multiple sports equal to multiple expenses. There are used sports gear and equipment available that can bring in a little relief. Continuous learning: A good youth sports program will lay emphasis on coach-training from time to time and will have strict standards of coach evaluation every season. The eternal dilemma players and parents face: Multiple sports or one sport. As kids grow, their involvement in sports also grows. Parents are often drawn to getting their children into sports given the physical, mental and emotional benefits attached to sports. While choosing which sport your child should participate in is one concern, the other and more pressing concern is should the child take up multiple sports or should she concentrate on just one. While the concern is pretty common, the answer to it is not as simple. It requires an informed professional actively involved in training and coaching kids in sports to be able to tell individually for each kid. If we look at the way professional players are trained, we’ll see that there are combinations of multiple sports that the players are encouraged to undertake to develop skills. For instance an athlete might be encouraged to take up swimming to increase stamina or a gymnast might take up skiing or skateboard, which would help hone skills for the primary sport. This is especially important in case of young players who need to develop their skills and get a taste of multiple sports before they pick up their specialization. And it is not just about skill development. Playing multiple sports breaks the monotony of a single sport and rejuvenates the player. It brings in a refreshing change and takes the boredom off practicing the same sport over and over again. Specialization is the key. If your child takes up a single sport, all the physical strength, energy and concentration is focused to a single activity. Dedicating all the time to a single sport will definitely help getting better at it. But experts argue that this may bring in boredom real soon. To avoid the monotony, kids can take up recreational activities like spending some real playtime with friends, camping, fishing or even family outings. Kids have a long way to go before they decide and get fixated on a particular sport. Playing multiple sports can develop various skills and can slowly bring in the focus to a particular sport. And when kids are ready to take up that one sport, then perhaps parents can encourage the child to specialize. Tips for coaches on how to grow their youth sports program. Reach out: Not just to other local clubs playing the same sport, but to teams playing other sports too. A healthy association with other clubs will help ensure that league dates or game dates do not clash. Similarly reach out to other local bodies and associations to promote an upcoming league; get in touch with the local church, schools etc. to giveaway flyers send out forms for registration. Allow sports breaks: Everyone needs a break and players need it the most coz playing is serious business. The break allows players to relax, refresh and rejuvenate. Allow sports-free weekends every once in a while. This will also help players get their focus and perspective in place. Incentivise: Sometimes the carrot works and sometimes the bribe. Use whatever works best in the given situation. After all organizing, administering, conducting, coaching and leading a youth sports program is no child’s play. For all the efforts, energy and resources that go into putting youth sports together you sure deserve to have a successful one. Give discounts for early registrations, give incentives for bringing new signups, let parents choose the payment option that suits them and not that is convenient to you. Advertise: Spread the word everywhere you can; Facebook, school, local community. Use flyers, posters, printed tees with the team name on them, banners and more to get the local community interested. While conducting and managing a youth sports program can be quiet a challenge in itself, getting people to sign-up initially can be equally daunting. 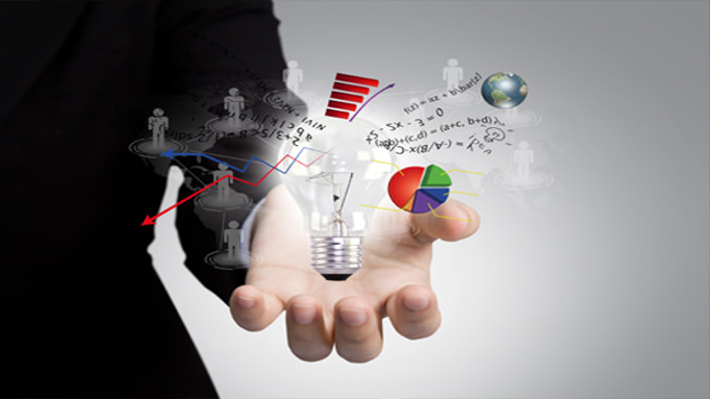 But with the right planning and efforts put in, getting started can be a breeze. And then the real challenge would come in: the game, so all the best for that!. Some important points parents of young players need to know. If your child is in the school team or you recently signed your child up for some pro sports, you will soon realize it's a different world altogether. Not just your child's life, even your life changes. While the kid plays on the field, you sit back n the stand cheering him up. Your participation in the game will be as much as your child's if not more. You are now a youth sports parent and your life has changed. 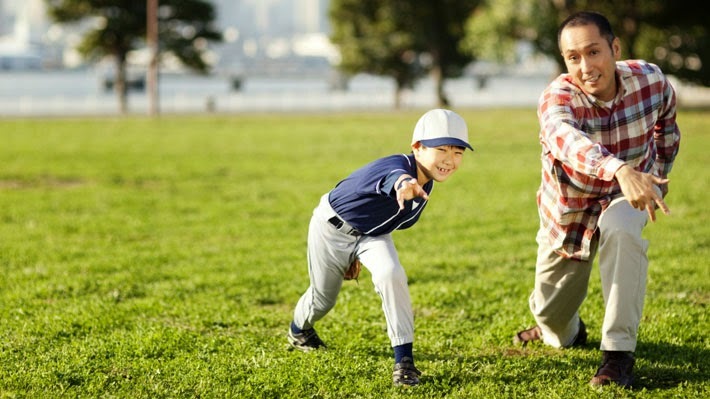 Here are a few key issues you need to be aware of while you are committing to the game along with your child. Plan your finances well: Signing up for youth sports needs a lot of commitment besides just your time. You would need sports gear, team jerseys, shoes and so much more. And it doesn't end at this. You would need practice sessions, camps, special coachings, clinics and a lot more that your child would be required to attend from time-to-time. Take care of providing your child all essentials for the game but do not give into unreasonable demands. Social skills issues: Your child might not like the coach or someone in the team. Sit with your child and hear out the real issue. Do not entertain unreasonable complaints or sulking. Playing in a team will prepare your child for the future with one of the finest lessons in life skills. Do not push: Don't push your child to play when he's not willing to. Never out pressure of winning on your child. Rather teach him to lose gracefully. Never threaten or bribe your child into playing. If the child does not have inner motivation to participate and compete in the sport, understand there are fair chances he will not excel in the sport, which could also have a bad psychological effect on the child. Also, do not compare your child with other children, which may bring in inferiority complex in children. There may be a lot many things that will be experiences unique to you and your child. But at large if these issues are addressed and as a parent if you are prepared then your child's entry phase into youth sports will be smooth and easy. Being a parent comes with a whole set of responsibilities, and being a sports parent adds to the commitment. It's a challenge to keep up with the busy routine, practice sessions, nutritional value, emotional counseling, motivation and a whole lot that your child might need. And your involvement in your child's sports will help your child fare better. As a matter of fact different studies have suggested that parents' involvement is more critical to child's success than any other factor. 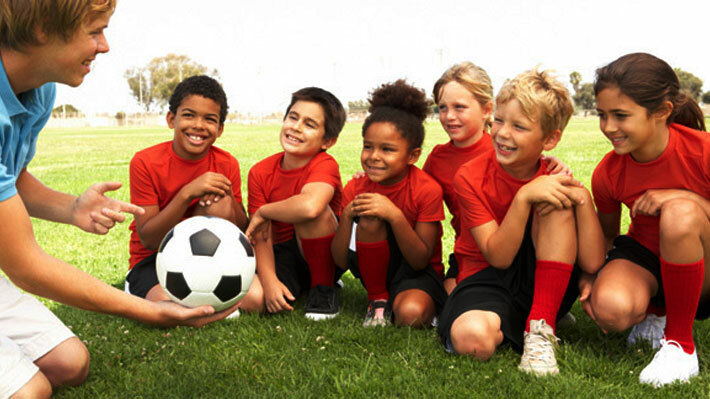 There are several ways you can support your child's sports activities at school and beyond. Here are a few ideas to get you started. Meet the Coach – Ask the coach for a good time to meet up. 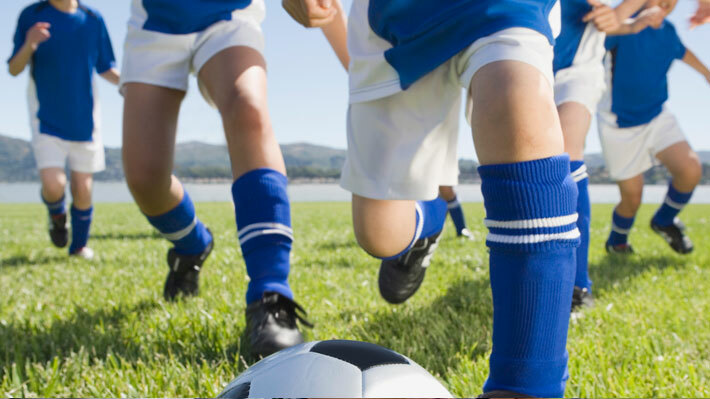 Let the coach know you are keenly interested in your child's sports indulgence. Offer help with team activities. Get to know other parents – Social acquaintance with other sports parents from your child's team not only helps the team bond better but also brings in confidence and enthusiasm helping your child's growth socially and emotionally. Attend practice sessions – What happens during practice sessions is as important as the game itself. Observe your child's skills, note down the areas of improvement and be available if your child needs anything. Watch the sport on television with your child – It's like being there, well almost. Watching the game on television helps you and your child learn about the game, make you more conversant with the terms of the game and helps your child get involved. 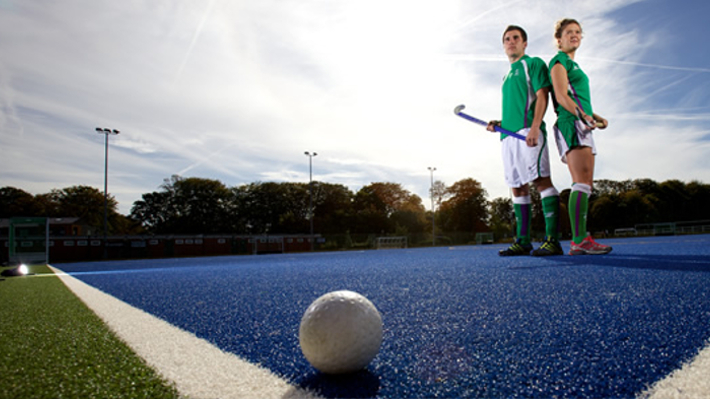 Volunteer at your child's sport practice sessions or games – Coaches appreciate it when parents help out in the game. There are several ways to contribute. You can volunteer in a practice session or game, bring in sandwiches or lemonade for the team. You can also volunteer to drive kids living in the neighborhood to the venue. Ask questions – If there's something that concerns you about your child's training or skills, ask the coach about it and seek his advice with an openness to take criticism or remarks in your stride. 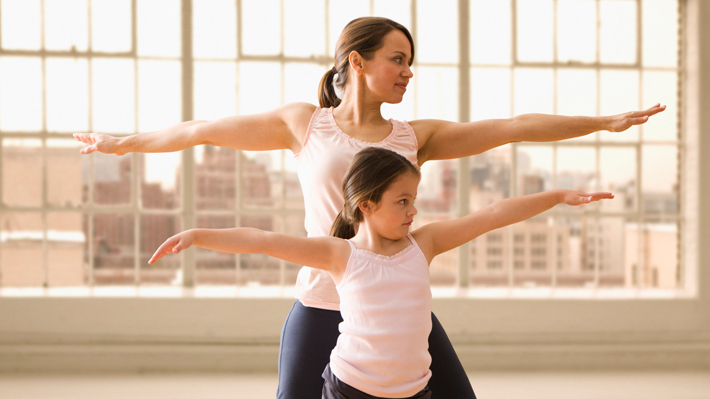 Monitor your child's physical exercise and nutritional requirement – To be able to do justice to a hectic schedule consisting of study, work and play, your child needs to have energy and stamina good to hold up to the routine. You will have to monitor protein and vitamin intake, fiber intake, refrain from junk food and maintain a healthy lifestyle. Talk to your child – There may be bad days and good days, or there might be times when your child might be low on nutrition, even worse your child might be having a problem with a bully or some situation that needs attention. Be available for listening, talk to your child. There might be situations demanding your counseling and support. And you'll be amazed at how many problems will get solved just by talking. It was a beautiful day, perfect for a friendly neighborhood soccer game. Little boys sweating it out on the field, parents cheering for their junior champs and a shy warmth of sun making it just the right degree on the thermometer perfect for a day out. Couldn't get better. Least I thought so. After the game I asked my nephew who was playing in one of the teams, "did you enjoy the game?" to which he replied with a sad face and spout, "we lost". That didn't answer my question. Rather the boy's expression baffled me. The game just didn't matter to him, winning or losing did. And how. The nine year old looked heart broken. We have done it to our children; we have done it to ourselves. Competition is the name of the game, and we play it in everything we do. Better career, bigger house, slimmer waist, smarter kid… the list just doesn't end. And as if this wasn't enough, we drag our children into the rat race even before they can spell or comprehend the word competition. Ask your child's coach and he'll tell you how each child's parents just focus on the team's performance, some with blatant openness, some with passive aggression and yet others with modest undertone yet a firm message – how many wins. It's a game: enjoy playing it. "Winning is important to children, how can I not be bothered about it", says a mom. Well ma'am you are right. Winning is important to our children because we have made it important. We have kept winning as the ultimate goal for very game. The day we change our priorities, our children will change their attitude towards the game. Yeah, the whole "enjoy the game, don't be bothered about winning" sounds good, but is there a practical way of doing it. Why not? Here are a few thoughts. I'm sure you'll be able to improvise and come with many more. Play the game as a fundraiser for a social cause. Let the children be involved in the process. This way they will not only learn to be sensitive and empathetic to the surroundings or the society, but it'll also take the pressure off children's heads helping them enjoy the game. This can be done for neighborhood games whether it's for a club or just a one-time match. If the match is clubbed with some holiday or social event, the focus from winning can be taken off. Make teams meet up often in which the coach can, in one way or the other, re-emphasize the importance of playing the match versus winning it. Parents can find ways to constantly tell children all the things they can learn by just playing the game like teamwork, hard work etc. Most importantly, we as grown ups will need to change our conduct to set the right example in front of the kids. So maybe next time instead of telling your child to get better grades, you might want to tell her to concentrate on studies, get the learning right, and good grades will just be the by-product. Similarly we need to tell our children to play for the fun of it, a victory will just be the by-product.